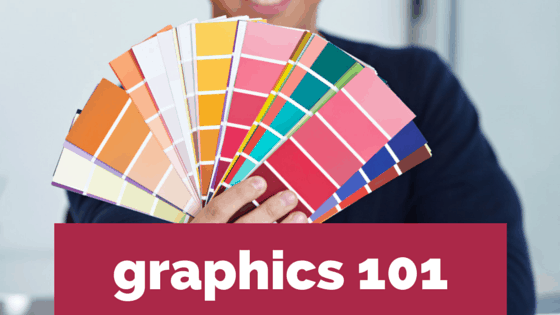 Why is having effective graphics important? We can think of a few reasons. The most obvious, if you are planning a trade show, is because your graphics attract attention and generate interest to your booth. It also reinforces your brand and provides a quick definition of who you are. What product/service are you selling? How does your product/service benefit your target audience? We are also going to address new technologies and how they have created more options of producing trade show graphics. We want to help you gain a basic understanding – a little knowledge upfront can save you time and money and make your graphics more impactful. 1) Hierarchy – Visually conveys “order of importance” – i.e., tell the brain how to prioritize information. With limited time to capture attention, this is key. Determines where various message elements are located within the space. How big are the elements, relative to each other? 2) Color – Palette may be dictated by corporate identity or an internal style guide. If not, use existing marketing pieces as inspiration, so you’re consistent with brand identity, even if it’s informal. Colors need to be readable from a distance. Contrast or complement colors in exhibit. 3) Font – Set tone of voice, brand personality – Traditional? Irreverent? Fun? Retro? What are your corporate identity fonts? If your exhibit is an extension of a current campaign, carry those fonts through. 4) Density – Don’t overwhelm. Less is more. Think billboard on a highway. Keep text at eye level, between 3 – 6 feet from floor. Format – Not everything has to be on signage. More dense material can be provided as print collateral, for ex. TIP: Take advantage of pre-existing artwork and themes from ad campaigns instead of creating everything from scratch. 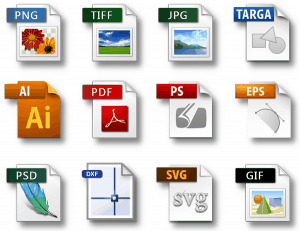 – Be sure file formats, file types and image resolution match your graphics-producer’s software formats and end product you intend to produce. 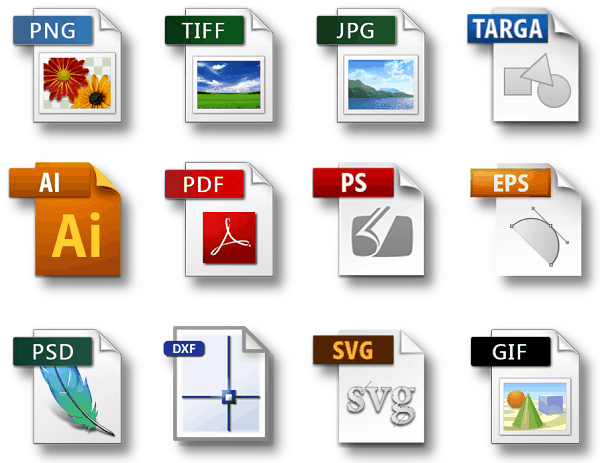 For example, we accept Illustrator (ai or eps), Photoshop (psd), or InDesign files. – You may incur charges if files need to be fixed or altered to meet guidelines. TIP: Always save files in their native, or original, format so they can easily be edited for color correction. If transferred into another format, it’s difficult to adjust elements w/o losing quality. – When sending files, include all support art (fonts, linked images, logo files, etc.) and make sure all fonts are converted to outlines. – Different substrates may require different bleeds. As a rule of thumb, setup all artwork with 2″ bleed around the perimeter. – Determine the system your production company uses to specify colors (CMYK or PMS) and request your color choices accordingly. 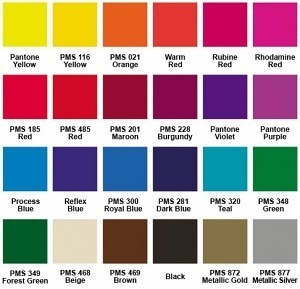 We accept artwork in CMYK, and any PMS colors must be called out in the files. – Submit catalogs, brochures, printed proofs, etc. to use for a color reference. – Know that finishes – printing on coated (glossy) vs uncoated (matte) materials – can make a color look bright or dull. Supplying a printed, finished proof enables the graphic artist to consider the finish when calibrating the printer for your graphics. TIP: Always send a PDF or hard copy proof – different digital printers print colors differently; you may end up with inconsistent colors if you use different printers for different jobs. With a printed proof, the digital printer can be calibrated to match. So discuss needs, budget and objectives with your exhibit house or graphics partner and ask to see options at different price points. So now you’re ready to send files off – a good feeling once it’s done. But don’t rush – have a checklist of what you need to provide. 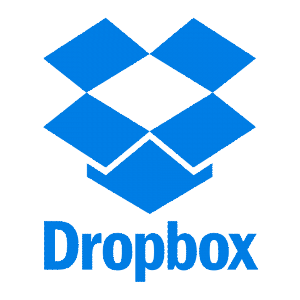 Normally files of acceptable quality are too large to email – so use free file transfer sites, such as Dropbox, WeTransfer and Hightail for a small monthly fee. Ideal: If your graphics producer has an FTP site – an Internet-based “holding tank” used to transfer large files; post your artwork there so graphic artists can download directly. TIP: When submitting files, always include name, phone number, and e-mail address of your company contact or art creator in case the producer has questions. A little foresight was save a lot of aggravation, time and money. – Ask: How much will my graphics get used? Can I reuse/repurpose from show to show? – Factor time needed to compile, proof and get approval of graphics. TIP: PROOF! The further you are in the graphic-production process, the more it costs to fix a typo. To wrap it up, the importance of having great graphics cannot be overstated. The end result (quality) is everything – much depends on your exhibit house/graphics provider. Process is critical – think ahead and know now what you can do to make production more efficient — saving you money, time and headaches. Best case scenario – awesome graphics, on budget, on time … and a great show!